NewFormat AB - OpenFormat - Products and Support Services - Foxit/LuraTech Rendition Server. Foxit/Luratech Rendition Server software can be obtained via license acquisition. What is Foxit/LuraTech Rendition Server about? The FLTRS provides valuable to support to help you maintain quality standards. at the same level of quality enterprise-wide, across all sectors and systems. the quality levels and degree of consistency required. conversion tools distributed around different departments. Highly scalable and light on resources. with the highest of throughput rates. Every conversion job begins by sending a request to the conversion web service. as well as the strategy selected and the properties added by the client. Absolute minimum requirements for installation. 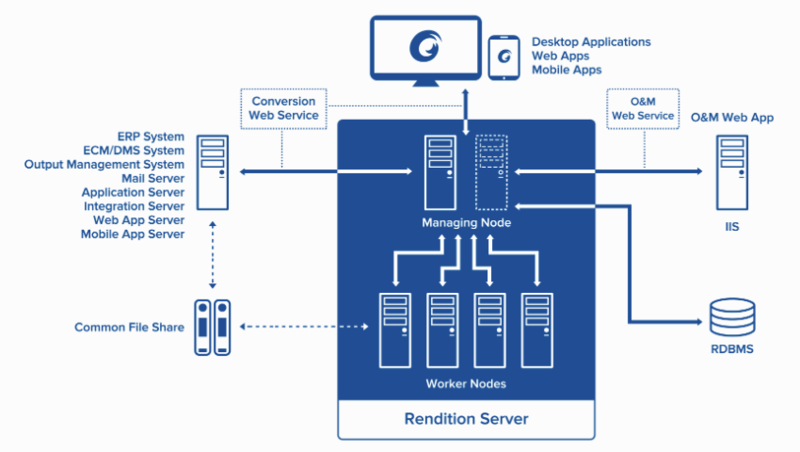 Rendition Server licensing is simple and straightforward. as well as the number of servers required for your operation (Speed). - unlimited pages on unlimited servers. on a pages per year basis. 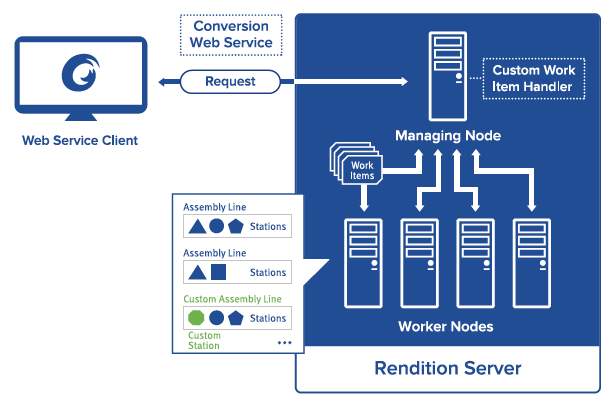 a worker node, best suited for your use case. and is used to address large anticipated variations in peak or seasonal needs. *) "Server Options" refers to the number of worker nodes in a configuration. multiple manager nodes are also available. Interested? - Proof of Concept? Ask for an online or on-site meeting!